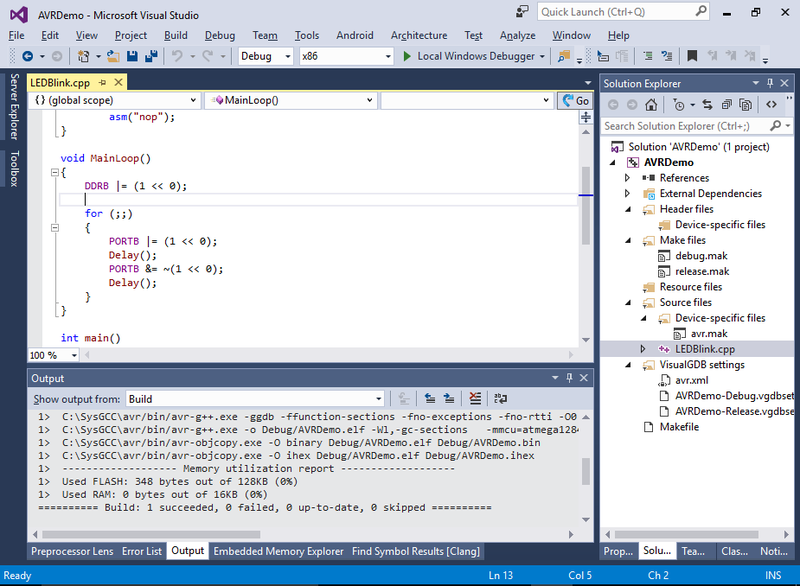 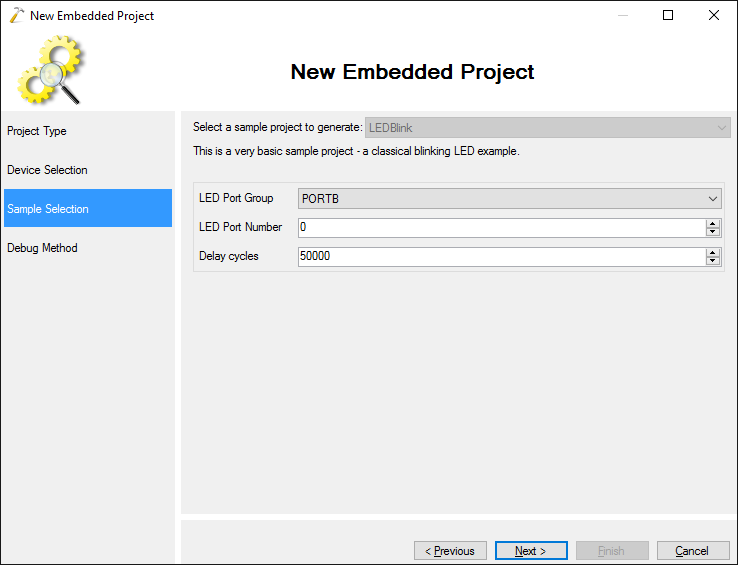 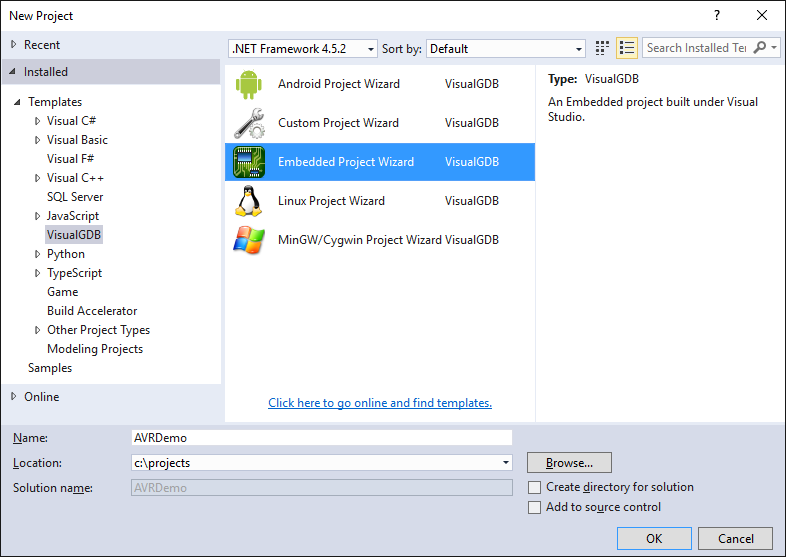 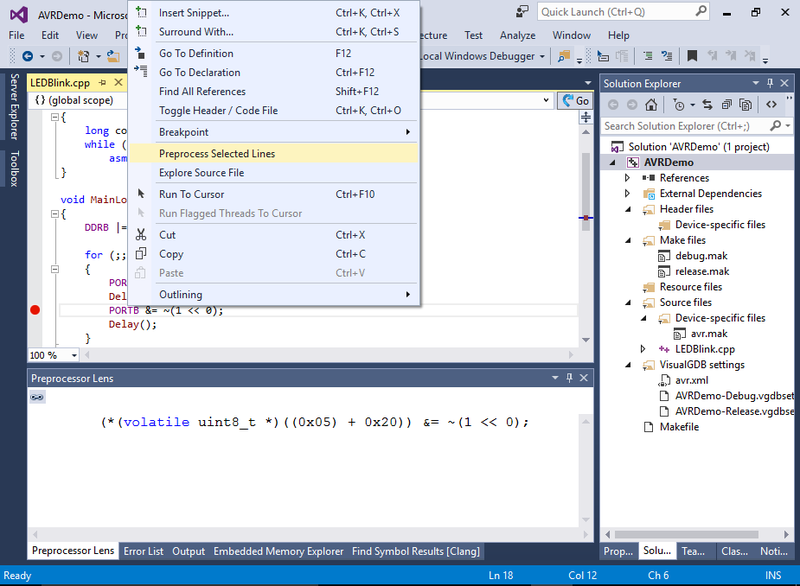 This tutorial shows how to develop and debug firmware for AVR devices with Visual Studio using VisualGDB. 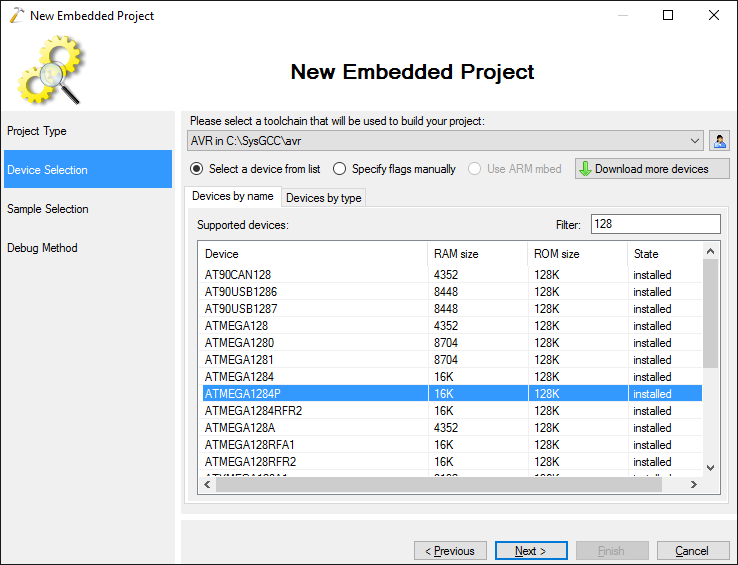 On the next page select the AVR toolchain. 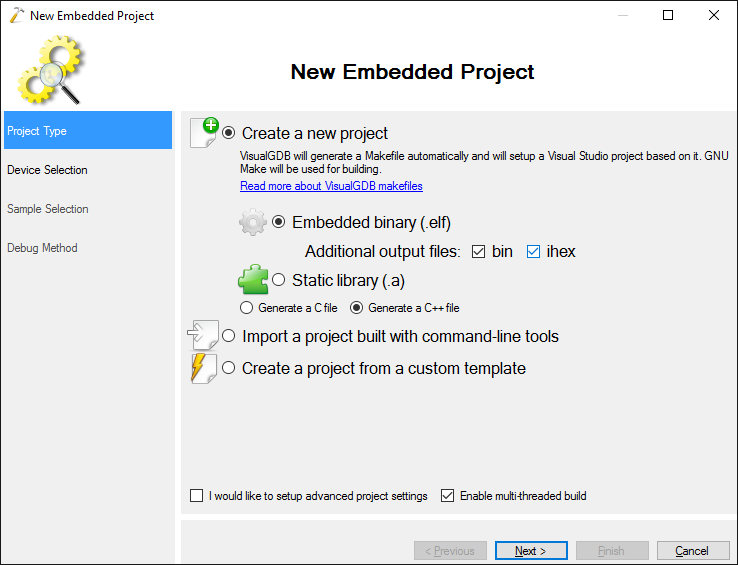 If it is not installed, VisualGDB will offer installing it automatically: You can also download the toolchain manually from the gnutoolchains.com site. 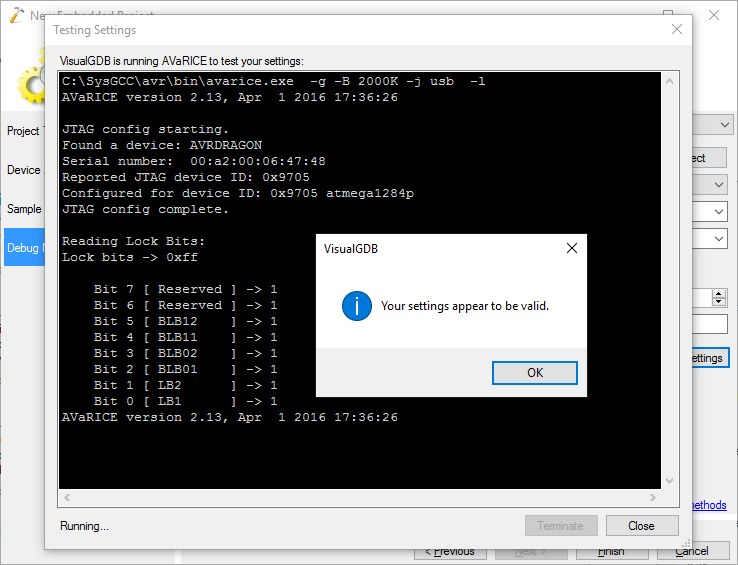 When you open the Debug Method page, connect your debug adapter to the USB port and click “Detect” to auto-detect it. 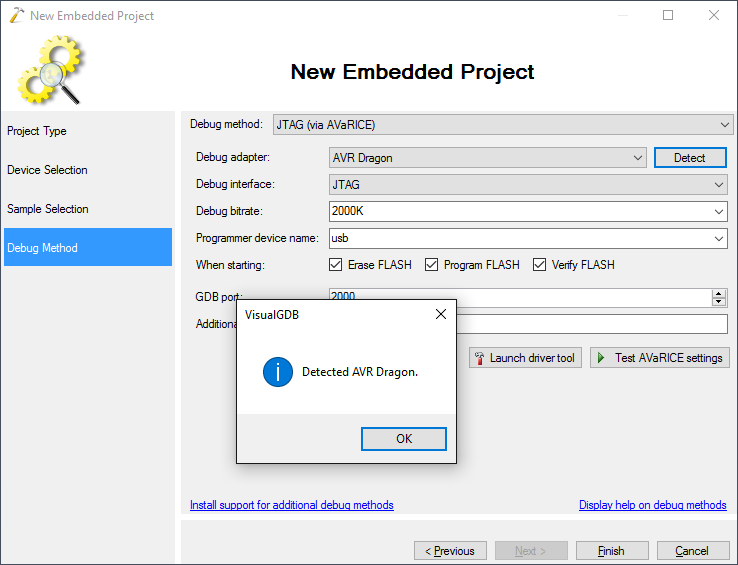 VisualGDB supports AVR debugging using the AVaRICE tool that works with the JTAG ICE Mk I, JTAG ICE Mk II and AVR Dragon devices. 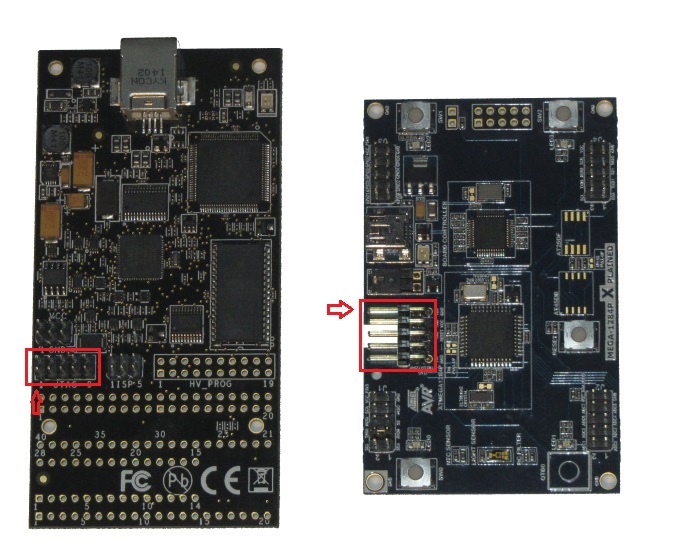 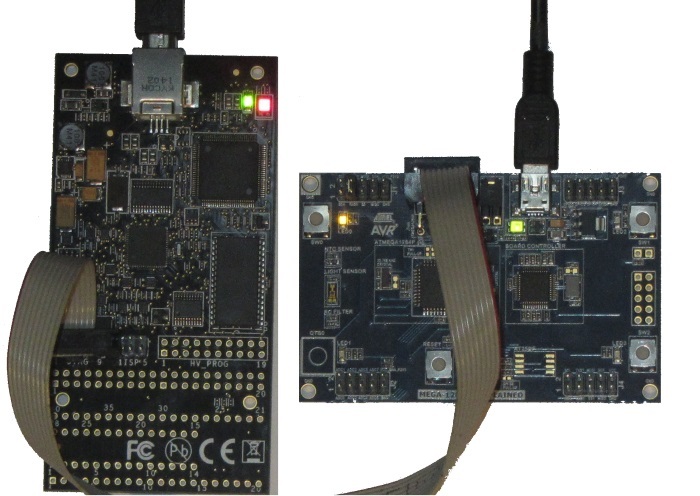 VisualGDB can automatically detect the JTAG ICE Mk II and AVR Dragon and setup the drivers for them: Note that debugging AVR devices with VisualGDB/AVaRICE requires a JTAG connection. 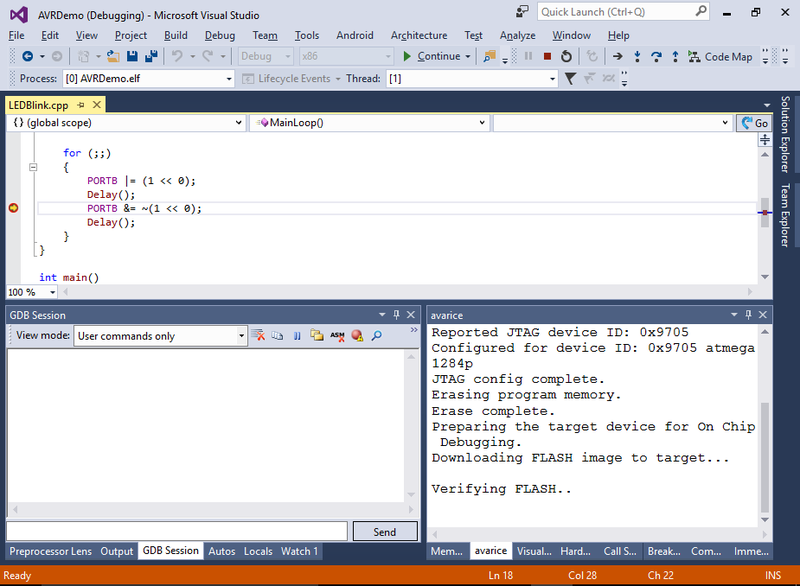 Then press “Test AVaRICE settings” button to check that the tool can communicate to your device. 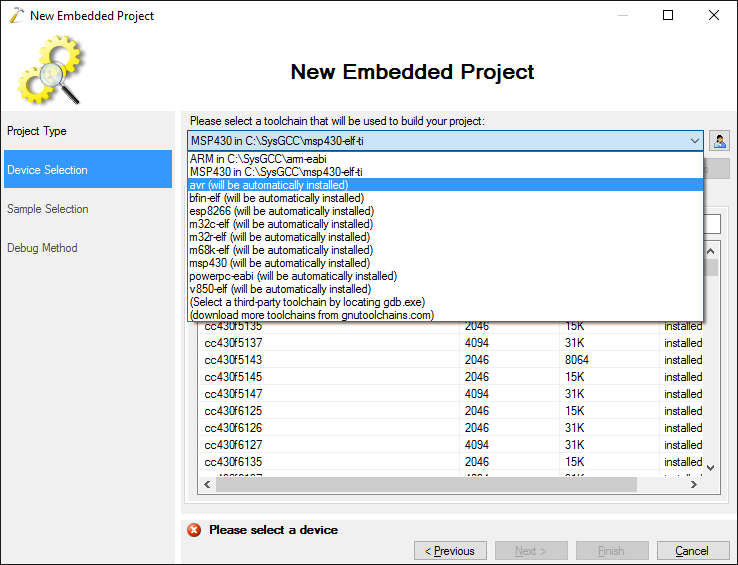 VisualGDB will attempt to read the lock bits of the device and if it fails, the error message should provide more details: It is recommended to set the Debug Bitrate value to 1/4 of your device frequency, as the default 250K setting will result in very slow debugging. 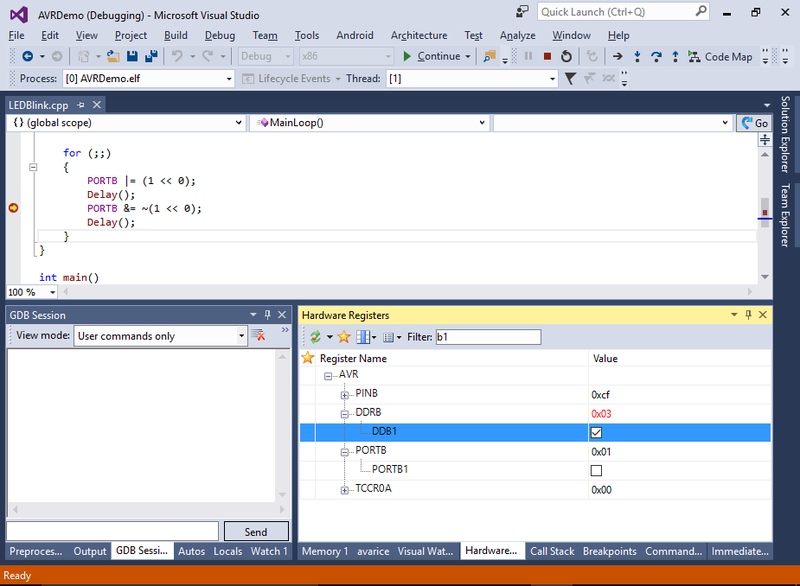 However, setting the value too high would make the debugging impossible and could cause strange bugs.